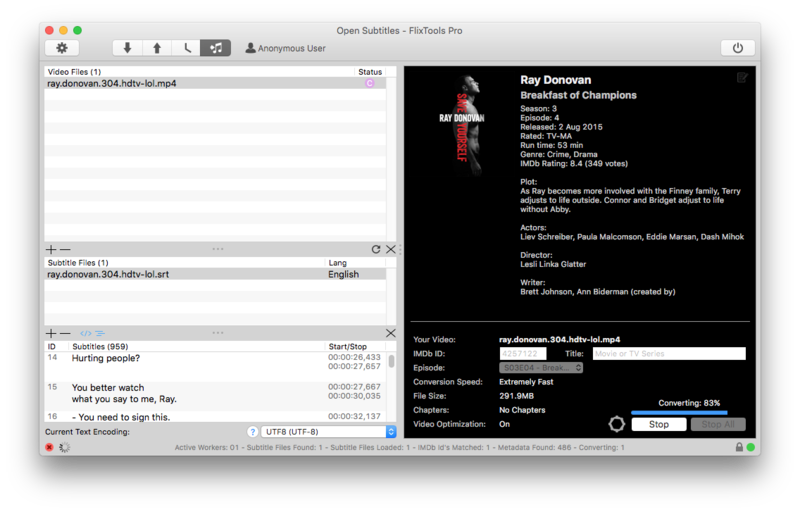 FlixTools does all the work for you. Instinctively. 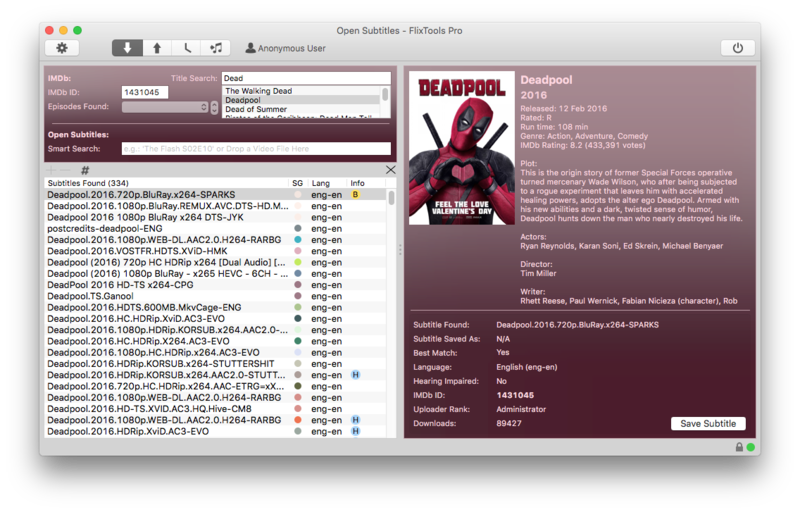 FlixTools, The tailor for your movies. 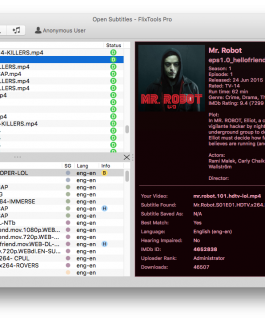 Forget one by one downloads. With FlixTools, you can download subtitles for as many movies at the same time as you like, simultaneously and effortlessly. 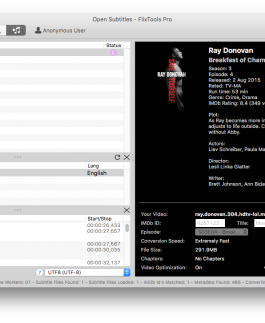 Search for subtitles using movie names, IMDB ID’s, or simply drag-and-drop the movie files to find the subtitles you are looking for. 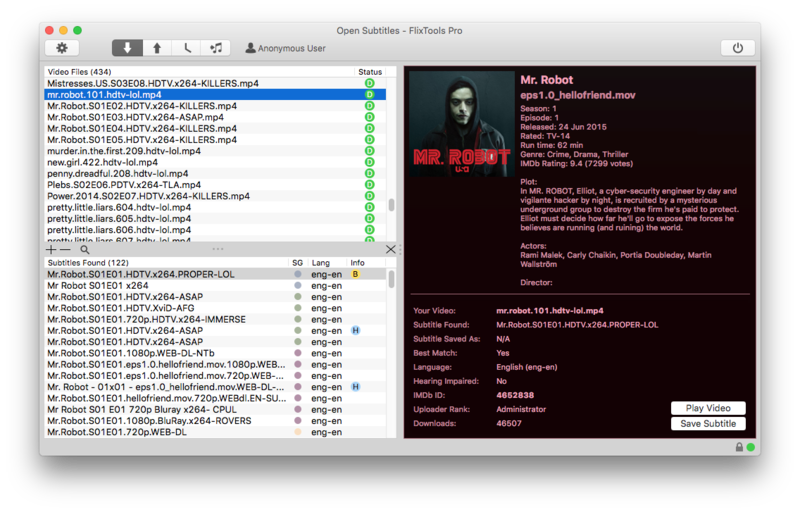 FlixTools can watch a folder on your computer you define for new movie files. Once there is a new movie, FlixTools will download the subtitles for you automatically. 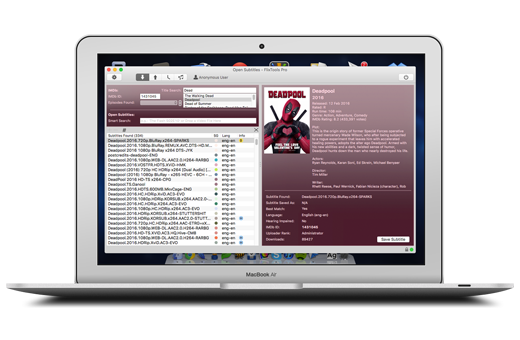 FlixTools converts your videos automatically into iTunes compatible format, including subtitles, metadata, cover art and more, and adds it into your iTunes library. 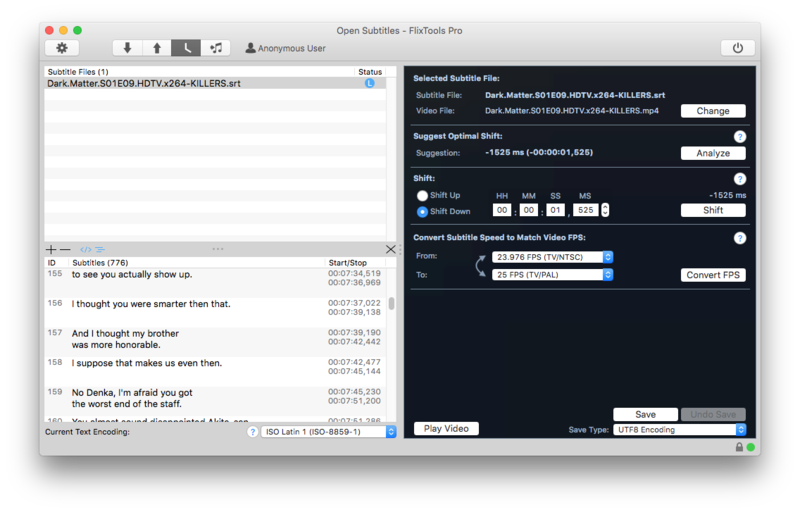 FlixTools will adjust the timing of your subtitles so that they will match your movie precisely. 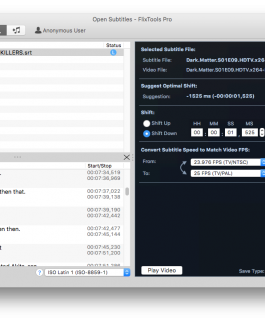 FlixTools analyzes your video and suggests the perfect shift amount so that your subtitles are always synced perfectly. Forget one by one uploads. 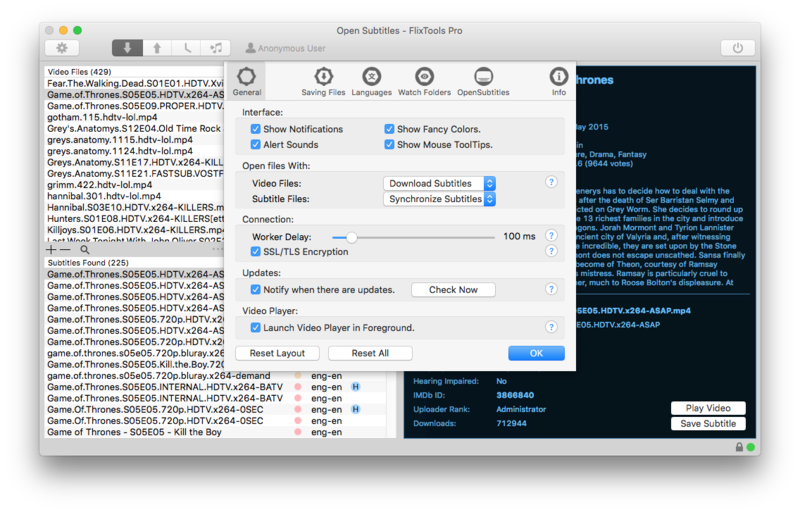 With FlixTools, you can upload subtitles for as many movies at the same time as you like, simultaneously and effortlessly. 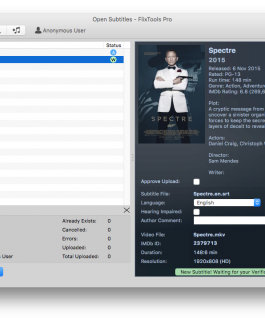 Become a full VIP member of OpenSubtitles.org, which will allow you to use the website without any ads, much higher daily download limits and all other VIP membership benefits. We are proud to work from two opposite time zones. This means that we have super fast response times wherever you are. Email [email protected] if you don’t believe us. 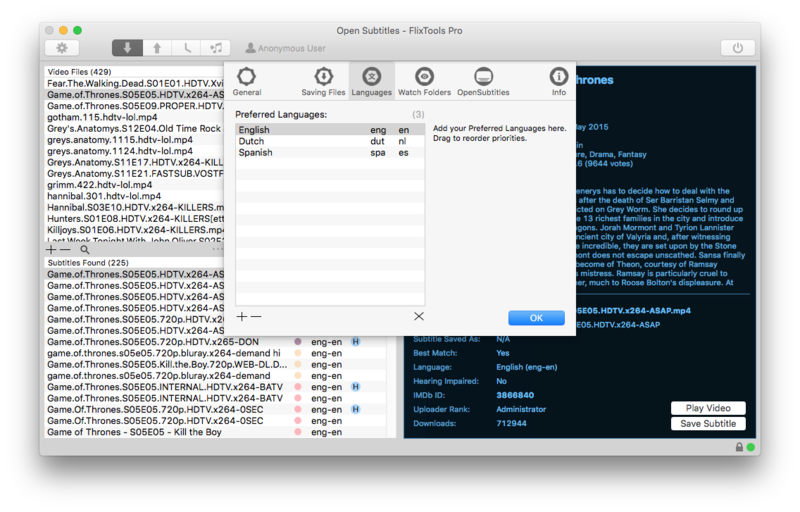 Open Subtitles FlixTools runs on OS X 10.8+. 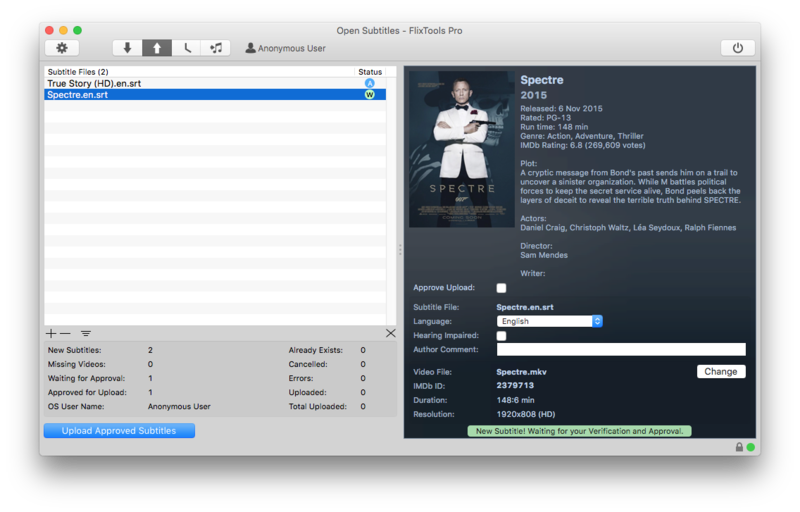 100% native Windows and Linux versions are in the making. 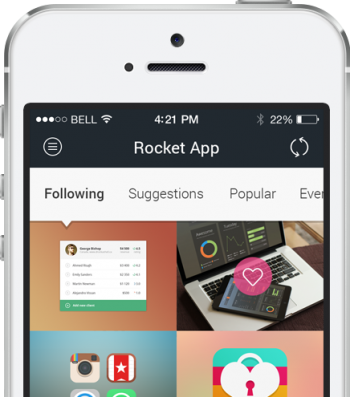 To be notified when the Windows or Linux version is available, please signup below.